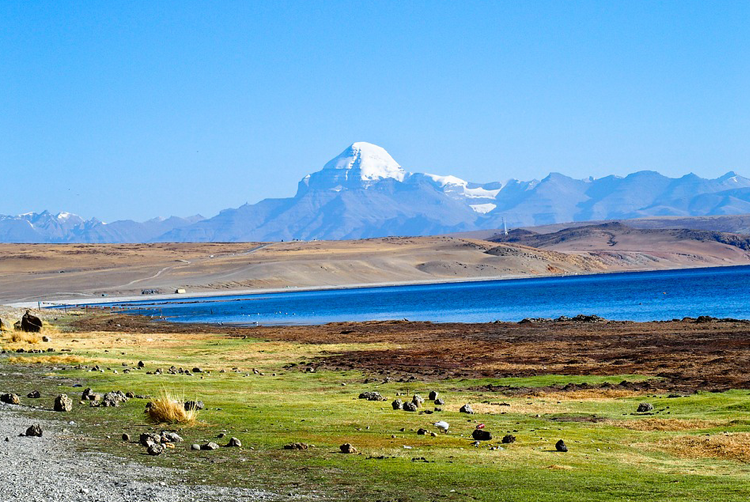 Tibet,Tibet Tours,Tibet Travel Offered By Tour Operator And Travel Agent. Tibet Autonomous Region is located at the Southwest part of China, with a land area of 1.22 million square kilometers.Tibet is the Qinghai-Tibetan Plateau proper, with an average landrise of 4,000 metres above the sea level.It is well-know as the Roof of the World and The Third Pole of the Globe.Several major rivers have their source in the Tibetan Plateau. 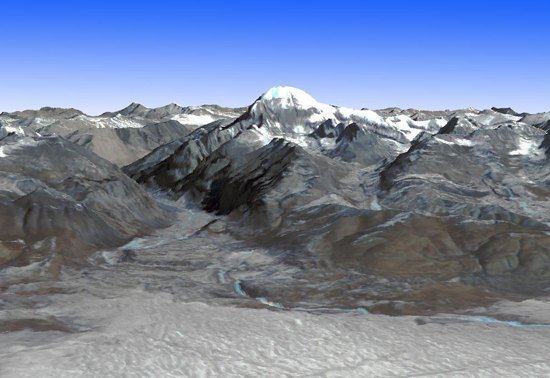 These includeYangtze, Yellow River, Indus River, Mekong, Brahmaputra River, Ganges, Salween and the Yarlung Tsangpo River.The characteristics of the Plateau climate are the great difference of different heights and of days and nights.The northern part is arid and cold.On the whole, Tibet claims a low temperature, long-day sunshine, strong radiation, rare rainfall and thin air.There are over 800 settlements in Tibet, Lhasa is Tibet's traditional capital and the capital of Tibet Autonomous Region. 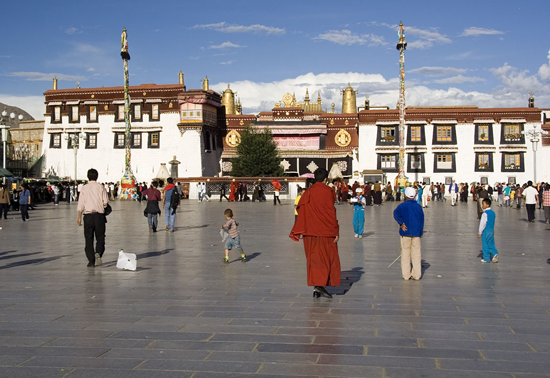 Lhasa contains the world heritage site the Potala Palace and Norbulingka, the residences of the Dalai Lama. Lhasa contains a number of significant temples and monasteries which are deeply engrained in its history including Jokhang and Ramoche Temple. Shigatse is the country's second largest city, west of Lhasa. 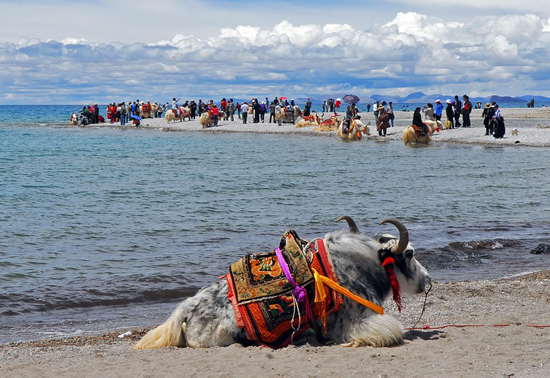 Gyantse, Chamdo are also amongst the largest. 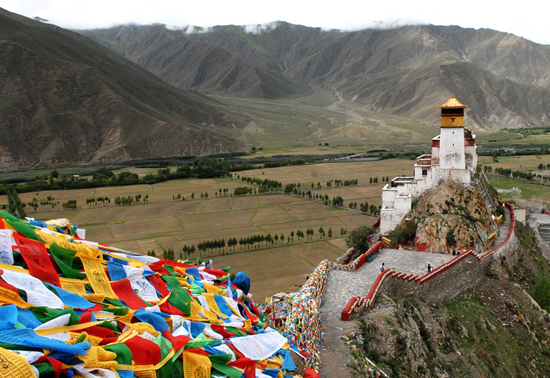 Due to the increased interest in Tibetan Buddhism, tourism has become an increasingly important sector, and is actively promoted by the authorities. Tourism brings in the most income from the sale of handicrafts. These include Tibetan hats, jewelry (silver and gold), wooden items, clothing, quilts, fabrics, Tibetan rugs and carpets.